OAT Patagonia trip, Dec 2013. 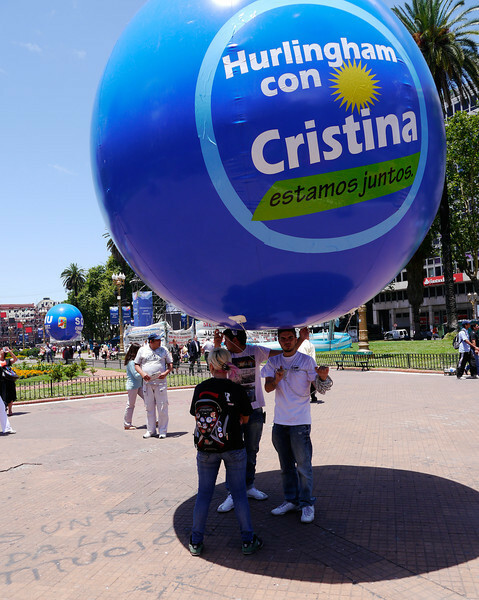 Says "Hurlingham and Cristina are together". Cristina is the President of Argentina. Hurlingham is the capital city of Hurlingham of the province of Buenos Aires Province in Argentina. It is located in the west of Greater Buenos Aires.